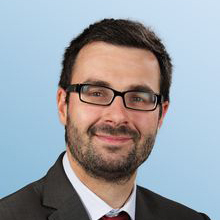 Mathieu is a Partner at Arthur D. Little France, a member of the Travel & Transportation Practice, and the Global Head of Arthur D. Little Aviation Competence Center. Mathieu has more than 15 years of experience in strategy and management consulting. Mathieu helps leading industry players and investors (transport companies, infrastructure operators, third-party service providers, Private Equity & Infra Funds...) to develop and implement strategic transformation and performance improvement projects. Mathieu is graduated from HEC Paris.